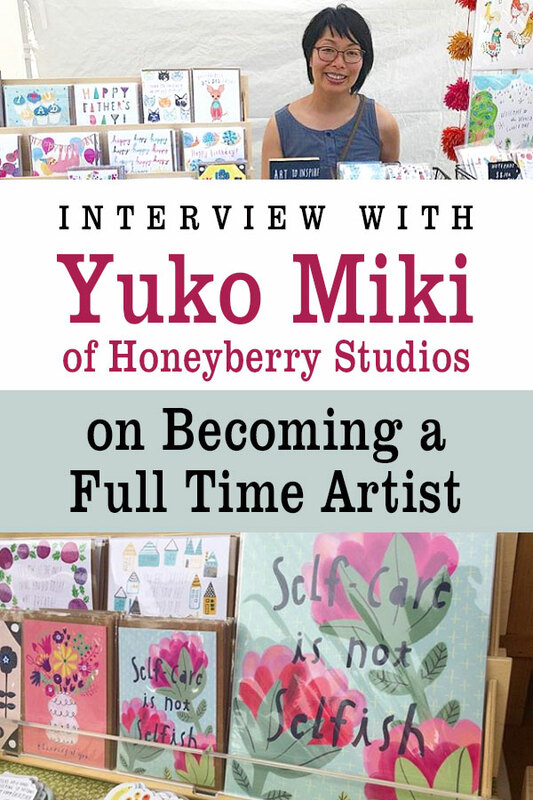 I am so excited to share with you this interview with Yuko Miki, the Artist and Illustrator behind Honeyberry Studios. Back in 2014, shortly after starting my blog, I began following (and admiring) Yuko’s daily “Happiness is” illustrations. In 2015, Yuko shared online that she was quitting her job and pursuing her art full time. Since then I’ve seen snippets of her full time artist life on Instagram @honeyberrystudios, but I’m excited to hear more about Yuko’s artist journey. As far as the topic goes, I wanted it to be something that’s relatively easy. I first thought about making art about food I eat every day, like a food journal, but knew I’d eat the same thing over and over 😀 So then I thought of happiness and what makes me happy every day. I’m not naturally a glass-half-full kind of a person, so being more mindful about happiness would be a good practice for me anyway and decided to make an art about it for 365 days. How was your daily drawing received? Were you surprised by the reaction? It was received well. It resonated with many people. My subject was accessible and relatable. 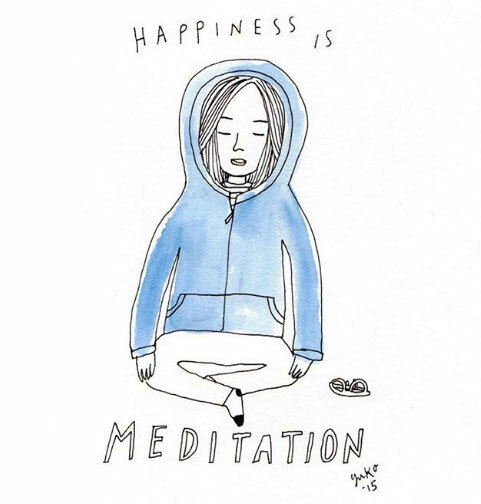 A lot of people are also looking for ways to practice mindfulness and want more positivity in their life. I grew my social media following during my project as well. I also got attention from Sakura of America during my project because I was using their drawing pen (Micron) a lot in my art and hash-tagging them. They eventually hired me to make drawing tutorial videos for their YouTube channel and I still work for them. 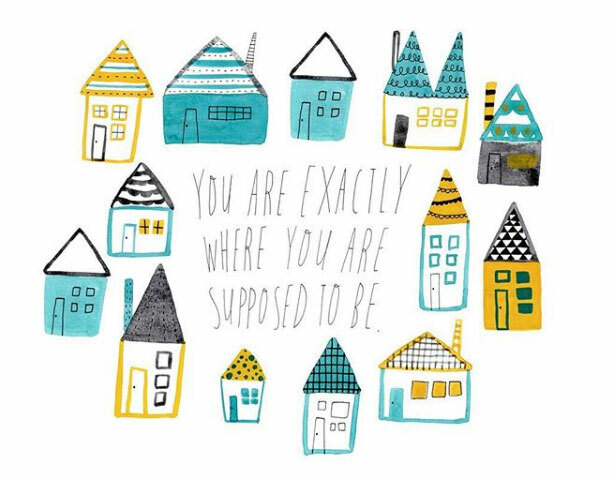 The full-circle moment also came when Lisa Congdon featured my project in her speech about sketchbook practice in Portland, OR in October 2014. I was so honored to be recognized by one of my personal heroes, especially because the project and my creative journey was inspired by her. What type of work did you do at the time? I was working as an Executive Assistant and HR Manager at a local non-profit domestic violence organization at the time. I’d worked there for 14 years in several different positions, majority of it in direct client service programs. Tell us a little bit about your background (in general) as well as your creative background. I was born and raised in Himeji, Japan. It’s a small town and our home was surrounded by rice paddies and mountains. When I was growing up, I didn’t appreciate living in a rural part of the town very much. My family also grew a lot of our food, too (on top of their regular jobs), and I thought being a farmer was very uncool. But now I know how fortunate I was to grow up with nature and we were self sufficient in many of our staple foods. I liked drawing as a kid but never did anything with that in my teenage to early adult years. I started doodling as a hobby in my mid-30s. I took some art classes but am mostly self-taught. What made you make the decision to go full time as an artist? I’d been working at the non-profit for over 14 years – though I had several different positions throughout the years, I was becoming too comfortable. I needed a change. I was also itching to do something more creative and positive. I’d had my first Etsy shop since 2011 but I wasn’t selling very much and wondered how far I could take my business if I’d worked on it full-time. So I took a week off to think and sat down with my husband, Dave. We looked at our finances and found his income alone could support us for the foreseeable future. With his blessing, I gave my notice on that following Monday. 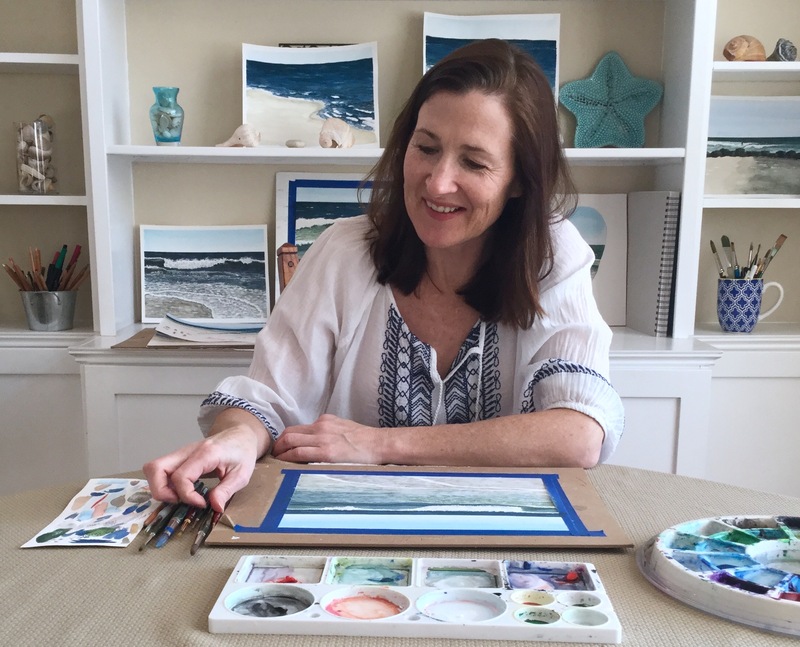 Once you went “full time” did you start with everything – art fairs, teaching, etc. or were things slowly introduced? The very first thing I did was I went on a solo retreat. Leaving work that I had for 14 years was a big transition for me and I needed to take some time to process that. I spent a couple of days alone in my friend’s studio on beautiful Whidbey Island and set my intentions for the next phase of my life. I brainstormed my values and how I wanted to run my business. I also mapped out the year as far as what I needed to work on and put rough schedule on my calendar. I didn’t start with everything but didn’t have a single focus either. A lot of the advice for creatives out there was “focus on one thing and grow it before adding something else” But I didn’t know what I should focus on first! 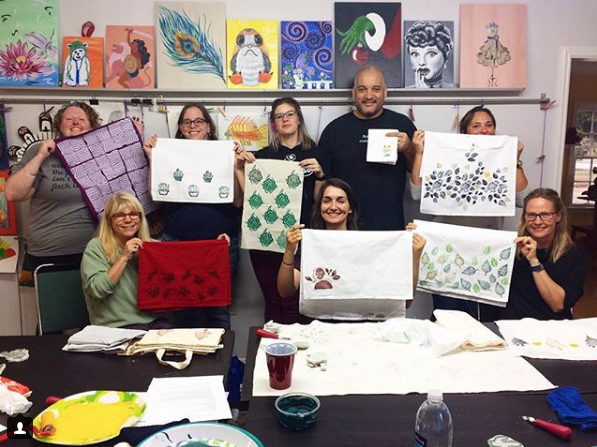 I was making products with block printing and illustration, doing some commission work here and there, and also offering one-on-one creative coaching. 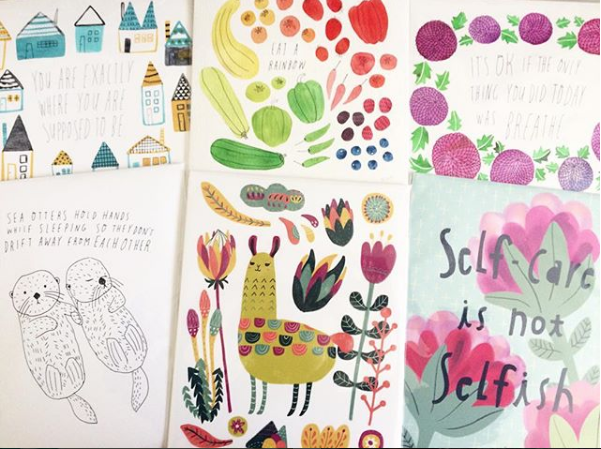 Your posts about art fairs always seems so positive – how have you found doing them? I love them! It’s a lot of work, but I like how I can move a lot of my products at shows. 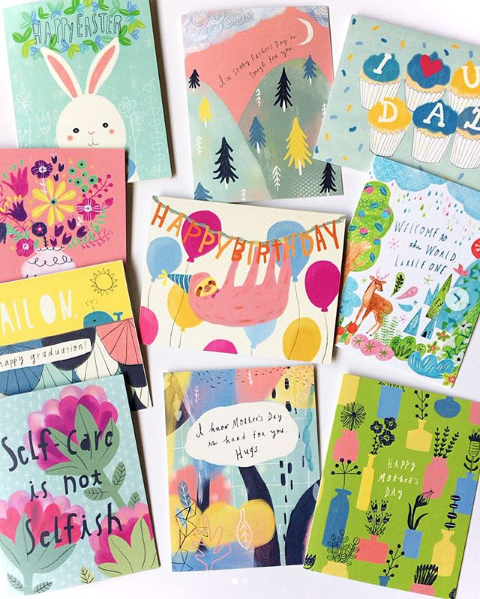 I get the most sales from doing craft fairs – when you have a product- based business like I do, you need to get in front of as many people as possible. It’s such a simple truth, but it took me a couple of years to actually internalize that and start doing more shows. 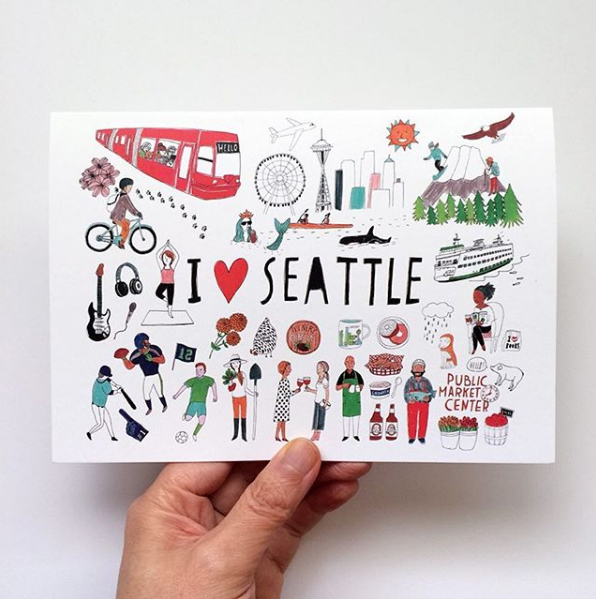 I also work alone from home most of the time, so it’s nice to meet customers in person and hear their complements all day long 😀 The creative community in Seattle area is very strong and supportive, too. I’ve made many maker friends through fairs and markets. What was a positive surprise to your full time artist journey? I don’t actually spend a lot of time making art. When people say how nice it is that I get to make art every day, I’m like “I make art maybe 20% of the time. 80% of the time is spent on marketing, responding to emails, packaging, shipping, keeping track of inventories, selling at markets, reaching out to retailers, etc.” It’s just part of being a solopreneur but it’s also an interesting dichotomy. What advice would you give others who are thinking about going full time as artists? Don’t quit your day job until your creative business is making enough consistent income to replace your day job! Or you have other means to pay the bills (like have a big savings or a partner who can support you, like I did.) It can take years for your business to become consistently profitable, and you need to protect your passion – if you were taking on any creative opportunities that come your way just so you can pay the bills, you’ll be resentful and will eventually be burned out. Once you’re burnt out, that’s it. You’ll lose your passion and won’t be doing what you love or love what you do. Also, don’t do something just because someone else is doing it and being successful. I have a friend who’s killing it with her original paintings. I was tempted to start making and selling original paintings as well, but it just didn’t appeal to me as much as other things I do. I also didn’t have time or energy for it. If I’d gone down that path, I would’ve spread my focus too much and slowed the growth of my business. Maybe eventually I want to do that, but I’m not gonna change my business model solely based on what’s working for other people. And don’t forget to take care of yourself! It’s so easy to keep working 7 days a week when you have your own business. I was working non-stop when I first transitioned from my day job to a full-time business and started feeling burned out within two months. I started taking every 7th week off in October 2015 (inspired by seanwes at seanwes.com) and it’s been one of the best decisions I’ve ever made. Categories: Inspiration, Other Artists | Tags: Artist interview, Full time artist, Happiness Is, Honeyberry Studios, Interview, Yuko, Yuko Miki | Permalink. Before I get carried away with ideas for 2019, it’s important and helpful for me to look back on 2018, to see what I accomplished, what worked, and what didn’t. 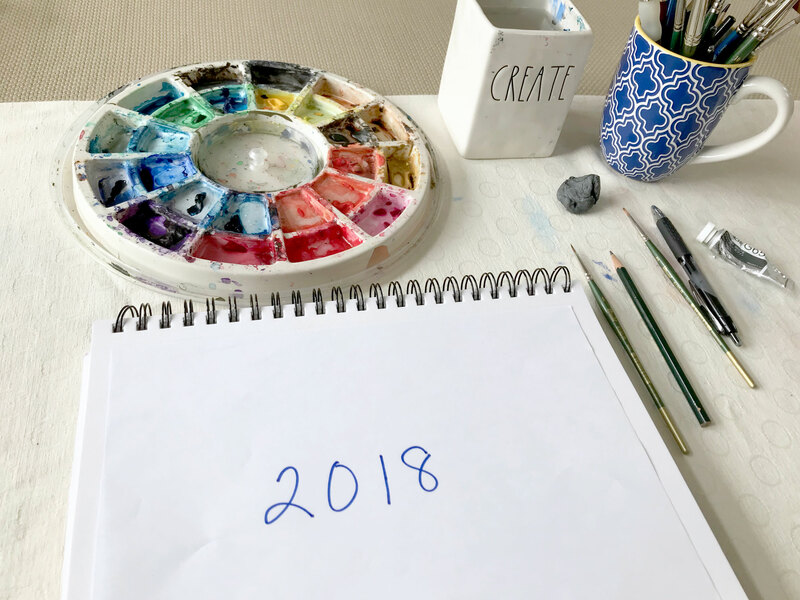 The guiding words I selected for 2018 were: paint, teach, share, and connect. Creating is the point of everything. It’s what brings me happiness, it’s why I started the blog in the first place. Above all, even when I’m creating products or loading things in my shop, I always want to remember to make time for painting and I did this in 2018. As is the norm for me, I have times when I’m very prolific and other times when I let life get in the way. I’ve learned that a project, goal, or deadline, really motivates me. In May I bought a stack of small canvases and declared I’d focus on painting seascapes in acrylics instead of my normal watercolor. Painting with acrylics reminded me what it felt like to be a beginner. I was also reminded that practice leads to progress. Currently I’m committed to painting watercolor illustrations every day of the holiday season – a huge motivator for me. I did post a few tutorial blog posts this year – on painting seascapes and on creativity in general, but what was really exciting was I was asked to teach watercolor to kids for a week of summer camp. It was fun, terrifying, enlightening, and exhausting! I really loved the kids. We’ll see what in person opportunities come my way in 2019. This year I began filming mini videos of my process which is fun and I enjoy sharing. I keep saying I need to create longer step by step videos. We’ll see what the new year brings. 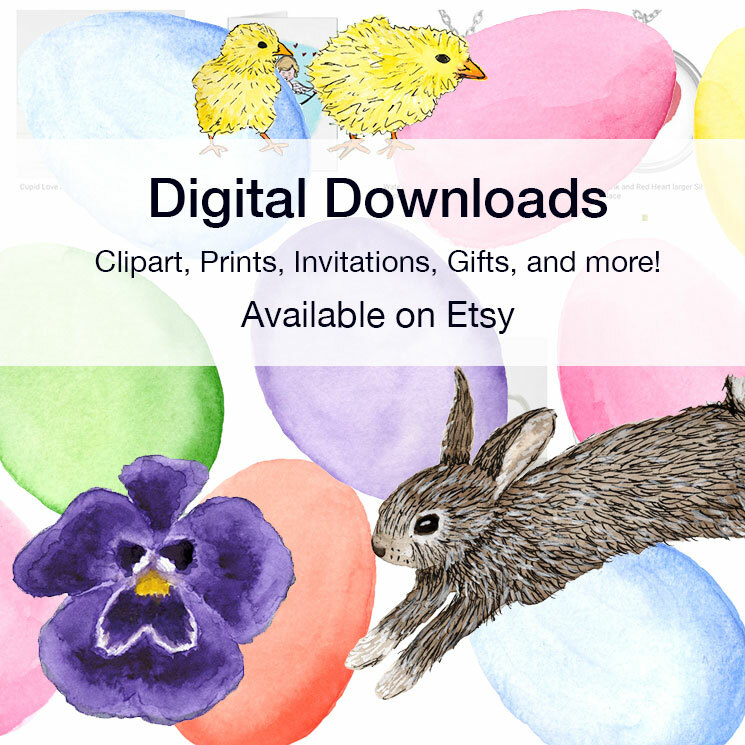 This year I offered my artwork in many new ways including selling originals online, selling at my first in person vendor event, and offering my illustrations as digital downloads on Etsy. I’m really excited, particularly about my Etsy shop. Before I developed illustration skills, I was a graphic designer looking for art to incorporate into my designs. It’s fun to be on the other side of things, offering clipart, invitation backgrounds, etc. to help others with their design projects. It’s also fun to think about each holiday or event and figure out what digital products will help people, and then to see what the response is to that new product. I’m really enthusiastic about my newsletter. I share all the things inspiring me. I have the opportunity to connect with other artists who I feature, and I love hearing from readers who enjoy what I share. Sign up here! 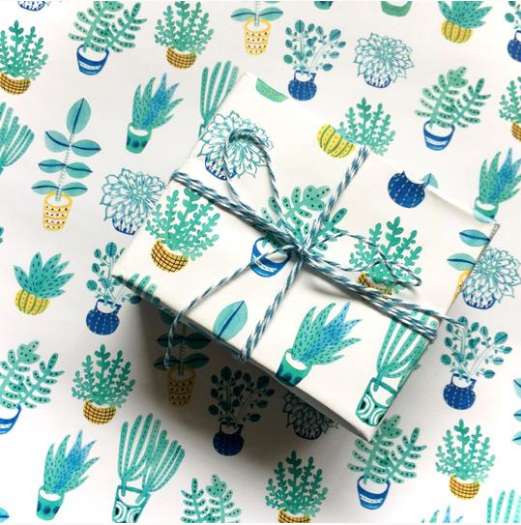 I collaborated with fungiftwrap.com on wrapping paper designs – upload your photo onto gift wrap! I’ve connected with a few people who have used my fabrics in their projects. Susan Finlay made a Swimming Quilt, Headbandhappyak.com made a swimmers headband, and another woman, who makes dolls for sick children using fabrics that represent the child’s interests, also used one of my swimming fabrics. Learn more about these projects here. When I look back it’s been a great, full year of new projects, opportunities, and connections. I’m excited for 2019! Categories: Inspiration, Resolution | Tags: creative year, Review | Permalink. Vacation is such a great time to clear your mind and soak up creative inspiration. My daughter and I spent the week visiting schools in the Carolina’s. We covered Clemson University, University of South Carolina, College of Charleston, and UNC Wilmington. All four schools had beautiful campuses. All were very different. We both loved the city of Charleston. One highlight was visiting Wrightsville beach near UNCW. Walking out on the large pier that juts into the ocean was amazing. We could stand next to the breaking waves and the surfers, and continue further out above the ocean. I certainly took tons of photos that I hope to paint from! I love that the shots are of different angles. Usually my seascapes are from the perspective of standing on the beach. See my collection of watercolor seascapes here. Categories: Inspiration | Tags: Charleston, South carolina, Wrightsville beach | Permalink.